SORRY ABOUT THAT, FOLKS. 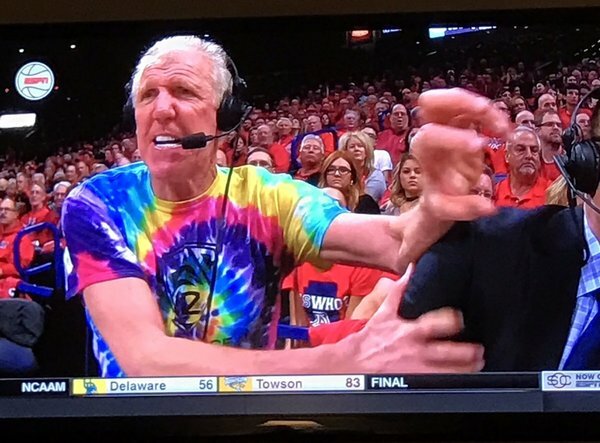 Just had some major wifi problems at McKale. Think it's working now. 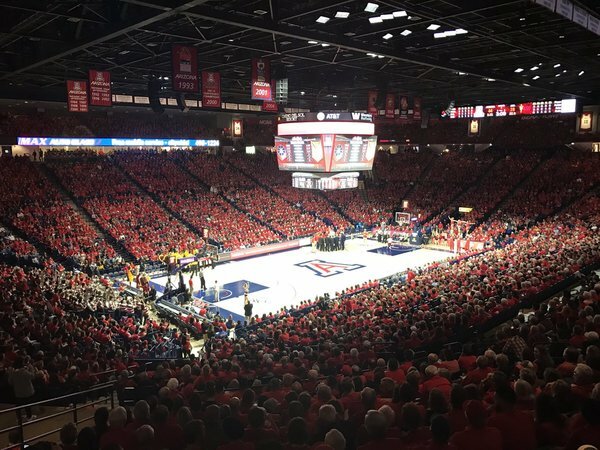 Maybe next month Effing Tucson can bring one of those free-range losses up to Tempe and drop it off at midcourt. Effing Tucson not doing too bad tonight. Hey Drew, met your brother at the last UA football game! Good kid! Go Cats! Any word on Trier? What's the earliest time a walk on player got in the game this year? Could they please kill that UofA commercial with the terrible music. It's horrible. 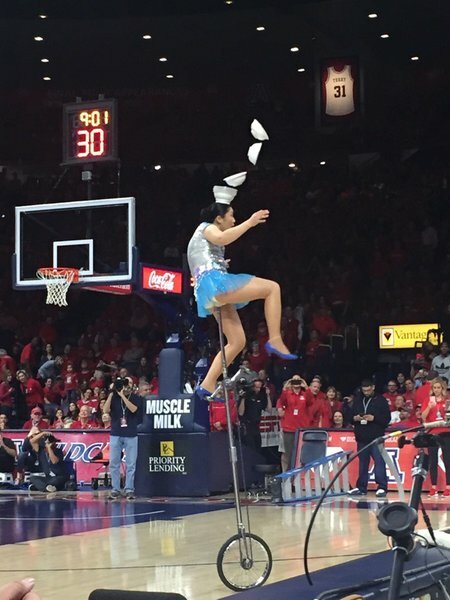 Tucson discovering the joy and amazement that is Red Panda!!!! Red Panda is a big hit with the crowd. The theme music is creeping me out though. 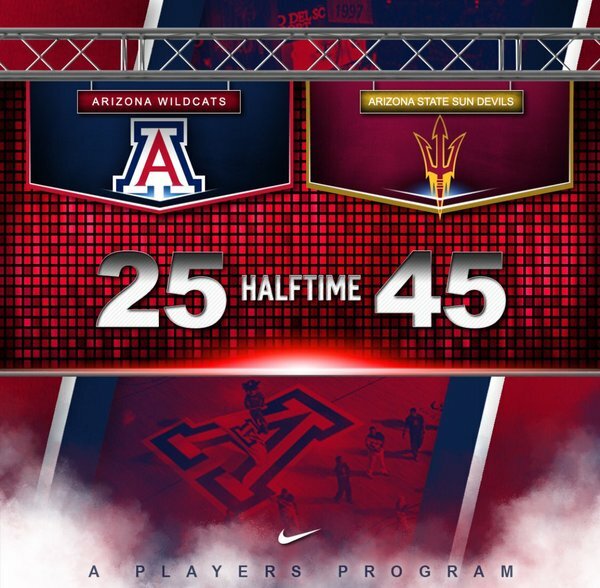 HALFTIME: Arizona 45, ASU 25. Doesn’t even feel that close. 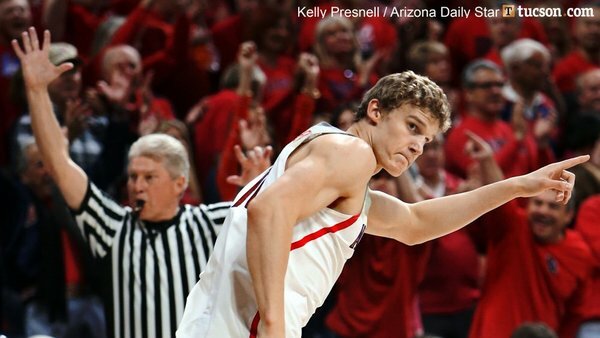 Does ASU have any players that could get playing time at UA? 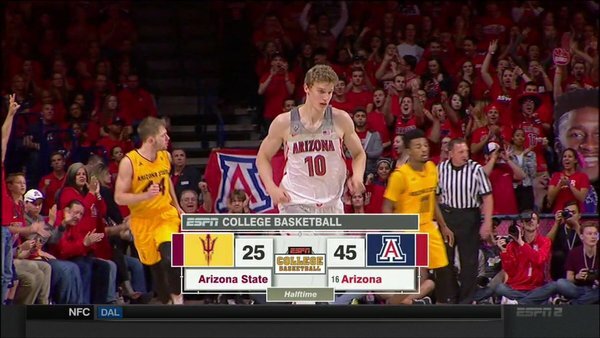 ASU seems to be holding it for the last shot of the half. Bets on breaking 100 tonight? 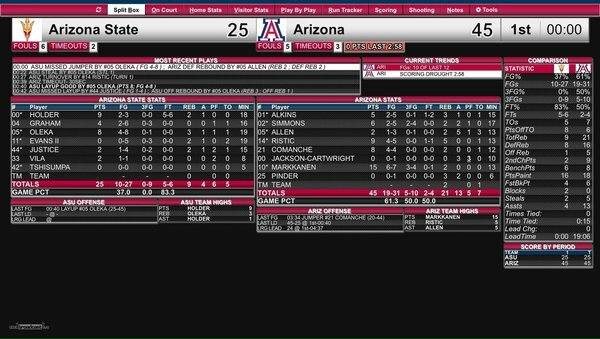 Arizona takes a timeout here. The Wildcats lead 45-25 with 39.7 seconds left in the first half. Listening to everything the student section is yelling at Bobby Hurley is hilarious. Those students, always so clever! Timeout over. Back underway for the final 3 minutes of the first half. Bobby Hurley looks like they took Seinfelds face and stretched the lower section down 6 more inches. @Iam_RawleAlkins out here testing the structural integrity of McKale Center goals with 1 hand.